When BMW posts its results for the final quarter of 2009 later this month (in Munich on March 17 with some preliminary results and dividend reported on March 11), they are expected by analysts to show an earnings recovery in the final quarter. Full year 2009 earnings are estimated by Creative Global Investments analyst Sabine Blümel at EUR151m/EUR0.24 per share. “We expect that the full year already announced 4.7% decline in group revenue to EUR50.68bn resulted in declines of 26% in pre-tax profit to EUR 259m and of 53% in net profit to EUR151m,” she said. But she also anticipates an increase to revenue and profit in the fourth quarter. “We estimate that a reported 13% year-on-year increase in revenue resulted in a strong earnings recovery quarter-on-quarter to a pre-tax profit of EUR180m. By comparison, in the fourth quarter of 2008 BMW incurred deep losses,” she said. Blümel expects BMW's auto division to exit a dismal 2009 with a strong performance helped by a 29% quarter-on-quarter increase in revenue, a reported 7.7% quarter-on-quarter increase in retail sales, a 5.2% quarter-on-quarter ramp-up in production and an accelerating model momentum. 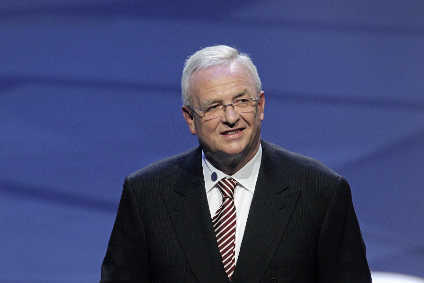 She also believes that there will be a positive 'carry-over' effect for BMW in Q4 versus an overly depressed Q3.